We were inspired to create The Great Shorthorn Revival in Fall 2001 on a sale weekend trip with Clint Tomson, age 92 at that time. Clint was a Shorthorn man from birth, an international show judge, a salesman extraordinaire, and he served as Executive Secretary of ASA from 1941 to 1951. He left the association to join his boyhood Shorthorn friend Frank Harding and his father F.W. Harding in forming American Live Stock Insurance Co., but Clint never left behind his love for the breed he helped make great. 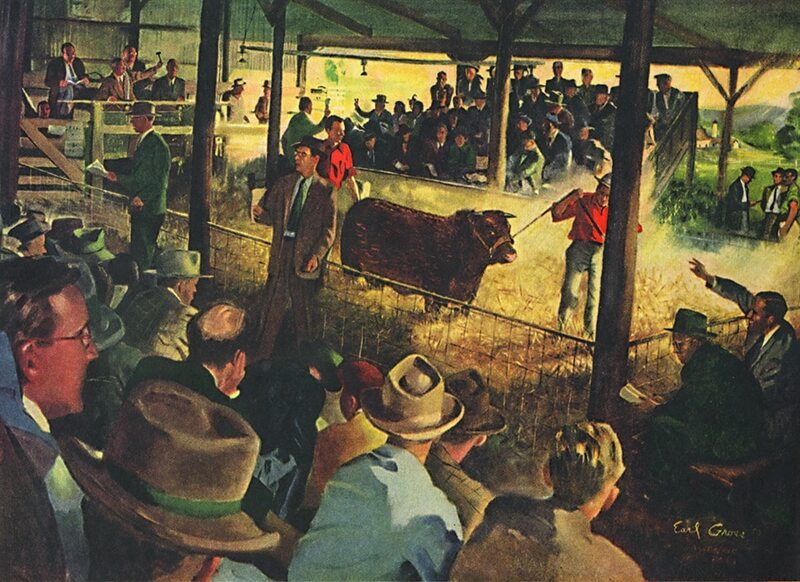 The Great Shorthorn Revival was born! We are always asked about the theme of the sale – it came from the article entitled, “The Great Shorthorn Revival,” written in 1965 by Missouri Shorthorn breeder Dave Lorenz’ for the 50th Anniversary issue of Shorthorn World. Sure, that was a long time ago, but these words are even more meaningful to our breed today. WHAT’S THIS “GREAT SHORTHORN REVIVAL” BUSINESS? When the cow business is good, ranchers buy more bulls than when business isn’t good. They are looking for bulls that will solve their problems. They also have to get their cows pregnant. But, if they can’t find bulls that will solve their problems, they will have no choice but to take the best bulls available. Unfortunately for the Shorthorn breed, I don’t think we have enough bulls available to get one extra thousand Shorthorn bulls into this great, open market for replacement bulls. The Charolais people are trying. The black Angus people are trying. The red Angus people are trying. The Santa Gertrudis, Brangus, Beefmaster people are trying. We, at Kansas City are trying too! We’ve been building the strength of our herd from within. We’ve been adding the strong bulls and outstanding females we believe will help us. Sound feet and legs are an absolute must. We believe we must breed the kind of strength and quality into our Shorthorns…that you should breed into your Shorthorns…to make bulls and their calves strong enough to be preferred by ranchers, and commercial cattlemen…and take some bull business away from these other breeds. You can do this too. If you aren’t already breeding the strong kind of Shorthorns with strong bone and sound feet and legs that will produce bulls that will be preferred by commercial cattle people…don’t let the Great Shorthorn Revival pass you by. The Great Shorthorn Revival is here. But, everybody has to do his part if we are going to get the business away from these other breeds. They’re not just going to drop dead because our breed awakens to this great need. The present commercial cow men…those with 200 or more cows…will be the calf producers to supply the calves to be finished mostly by others. As world finished beef demand starts to exceed United States calf production, our American calf producers will have already discovered that they can more profitably sell heavier calves at weaning time than in recent years. 1. They can creep-feed high cost grain. 2. They can infuse Shorthorn blood, and get it FREE! The need for strong Shorthorn bulls is 100 times greater than your and our capacity to produce at this time. But, opportunity is where the NEED is…and because the need is great, the opportunity is great! 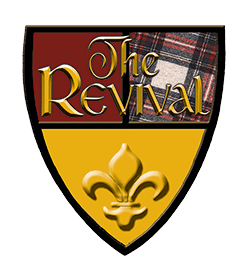 Don’t let the Great Shorthorn Revival pass you by! Start today! If you need a new bull, travel farther, look harder, pay more…but insist on the bull you need. Don’t settle for a substitute for a good bull. Pick up the big, strong females you occasionally have the opportunity to buy. The kind that will produce a calf every year, and give enough milk to make a job of the calf. Start today to build up the strength of your herd. Competition demands that all of us Shorthorn people produce bulls that will sire bull calves strong enough to be preferred by commercial cattlemen all over America! Don’t let the Great Shorthorn Revival pass you by!